Despite not being in the leaking game anymore, @evleaks posted a list of devices destined for Verizon recently, and now there's an image of one. Behold, the LG G Pad X for Verizon. 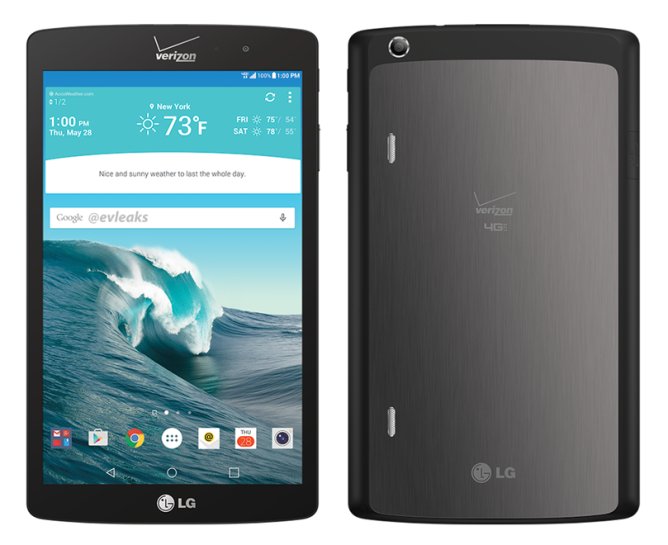 Have you seen an LG tablet before? It looks kind of like that. From the image we can surmise this will be a Lollipop tablet, probably 5.0.something. The back appears to be brushed aluminum (at least partially) and there are stereo speakers. It's nice there are two, but it would be better to have them on the front. Hey, gotta make room for that second Verizon logo on the front, right? 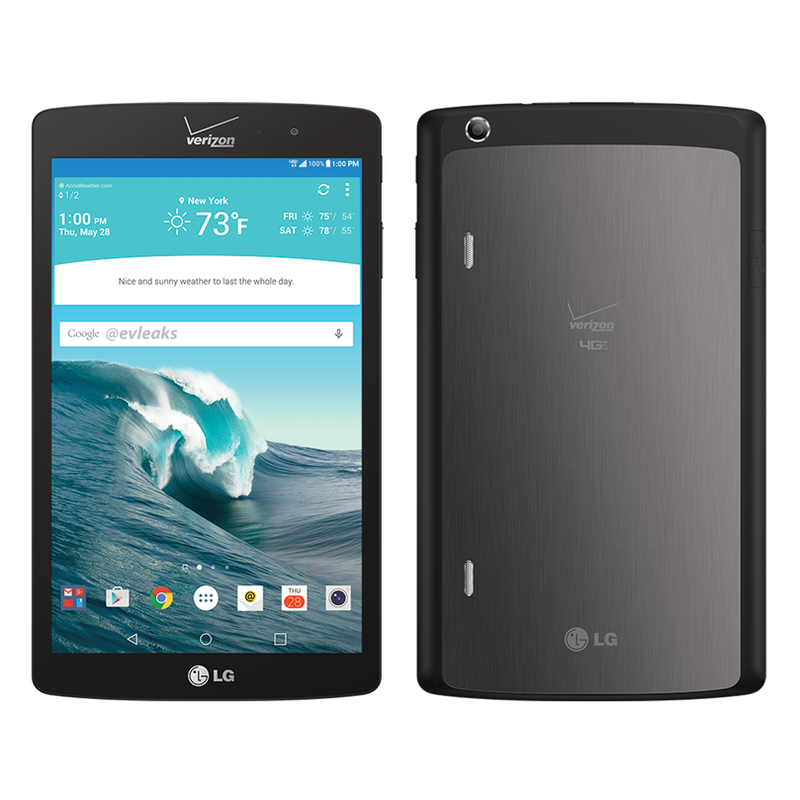 The specs are still unknown, but it's expected to have a screen around 8.3-inches. LG's last few tablets have been budget devices, so it'd be nice to finally see a true successor to the original G Pad 8.3.